Yesterday’s news from the AIA underscores how strong the demand for new construction is throughout the US. 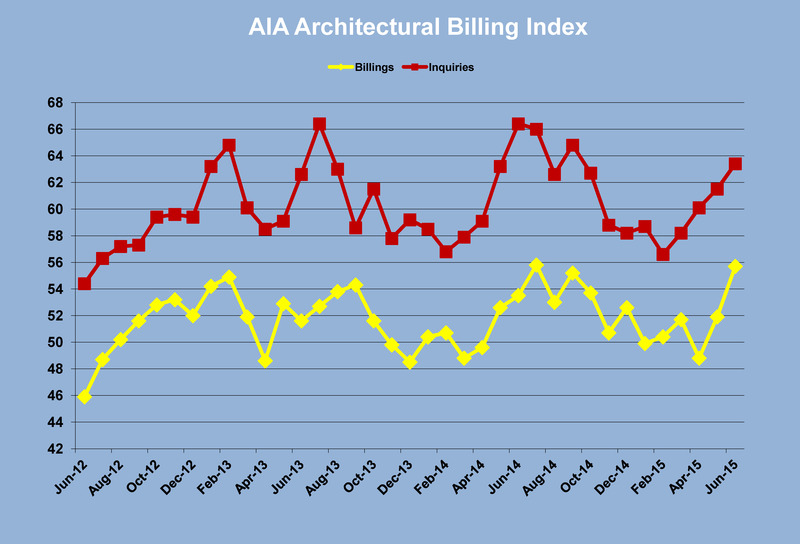 AIA’s Architectural Billings Index (ABI) for June rose to 55.7, the highest level since 2007. The survey of firms indicates that 55.7% saw billings rise in June, an unusually high number. The four-month trend for billings and inquiries is sharply higher. A dive into the numbers shows that it’s institutional and government projects that are leading the way, with commercial real estate development also above 50. One noteworthy change was a decline to 47 for firms engaged in multi-family projects, an indication that planning for apartments may finally be cooling. As an indicator, the ABI is a reliable forecasting tool for the 9-12 months forward. In project news regionally, the design/build team of Mascaro/Tetra Tech was selected by Penn State for its $6.6 million Ag Digester & Dairy Barn. PSU also short-listed Barton Malow, Gilbane, Turner and Whiting-Turner for its $100 million Chemical-Bio Engineering Building. Horizon Properties was selected to redevelop the former Star Theater into a town center in South Fayette Township. The state of WV selected alternates that made Paramount Builders the successful contractor on the $33.2 million State Office Building #3 in Charleston. Oxford is working with Massaro Corp. to build its $20 million, 146-unit Emerald on Centre apartments in East Liberty.